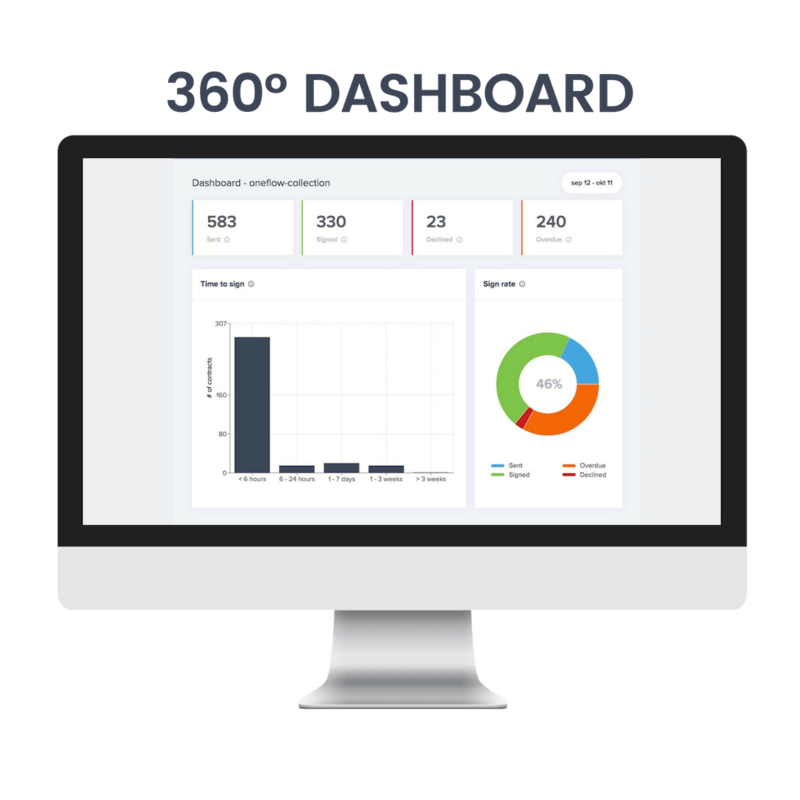 The new 360° Dashboard gives you access to your KPIs at your fingertips. Do you have an overview of all your contracts and pending deals? 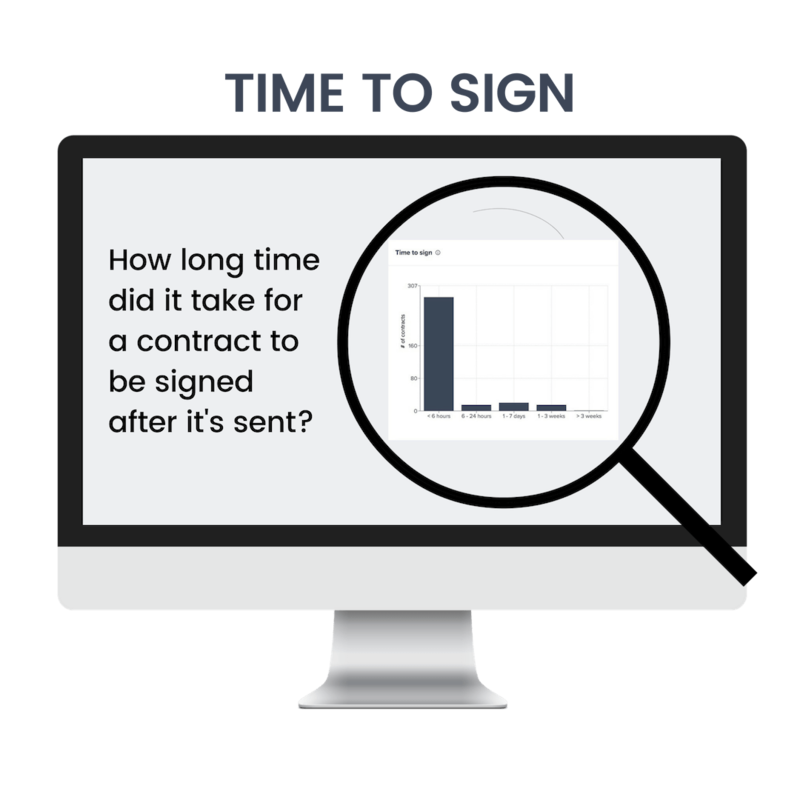 Do you know how long time it takes for you to get a contract signed? Do you have any control or overview over all contract statuses that you have in your pipeline? 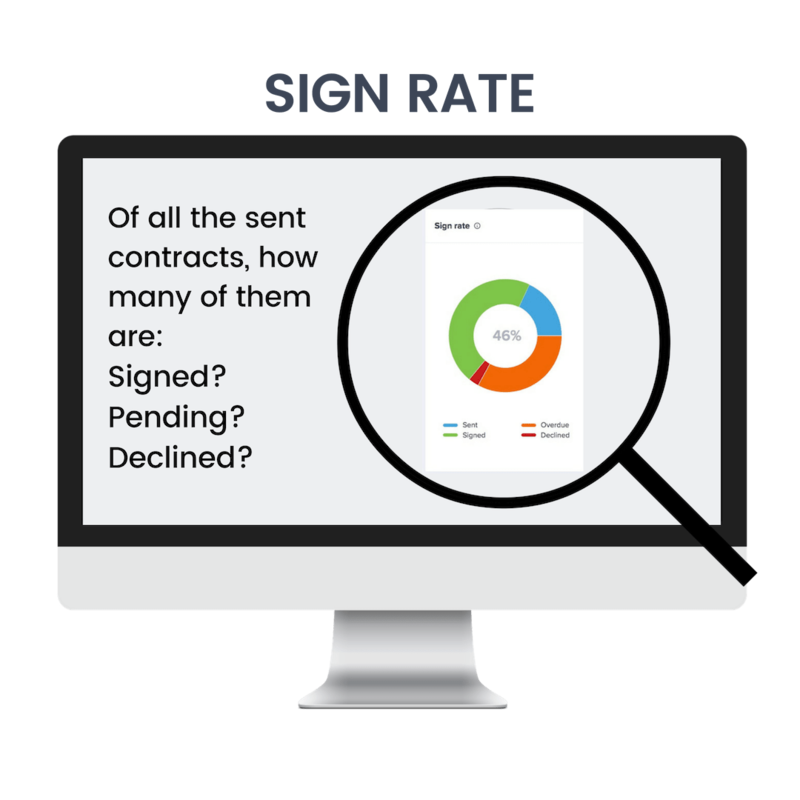 Do you know what your sign rate is? Despite contracts being the backbone of all businesses, most organizations don’t have any control over their contracts. With the new Oneflow 360° Dashboard, you can easily get the answers to these questions and understand how the individual sales reps and contracts are performing. Benefits of the Oneflow 360° Dashboard. You can take real actions based on your contract pipeline data. You have control over all pending contracts and are able to move them forward to close. All the vital KPIs related to contract pipeline are available on a single dashboard. The first release of Oneflow 360° Dashboard is immediately available to all Oneflow users. For more details about the dashboard, please visit our Help Center.